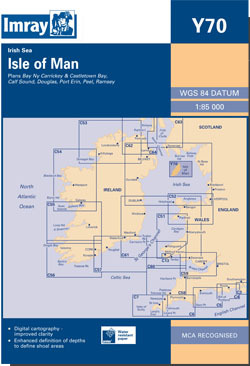 The whole of the Isle of man. Scale: 1 : 85,150. Larger scale plans of Douglas, Calf Sound, Port Erin, Peel, Ramsey, Bay Ny Carrickey and Castletown Bay.